This is a must listen to. It's only five minutes long, but it's full of life changing wisdom by Dennis Prager. Why Wait for Justice in the Ferguson Michael Brown Shooting? Eccl. 3:16 Furthermore, I have seen under the sun that in the place of justice there is wickedness and in the place of righteousness there is wickedness. Eccl. 3:17 I said to myself, God will judge both the righteous man and the wicked man,” for a time for every matter and for every deed is there. And well did Martin Luther King Jr. add . . . So when justice is challenged as it is being challenged in Ferguson, every American is affected and every community needs to be careful not to rush to judgment in trying to arrive at justice. Cops can do wrong and citizens can wrongly provoke cops to use lethal force to stop them. And then there are thousands of scenarios in between both of these extremes. All Americans have a vested interest in making sure our system of justice in all of these scenarios gets justice right. The Executive Director of P4CM and I try to navigate our way through the maze of obstacles standing in the way of finding justice in Ferguson. I pray that our discussion is helpful for you. Thank you for taking the time to listen. Bizzle's Response to Macklemore's "Same Love"
I'm a little late on this one. But just heard it today and thought it was worth sharing. What Songs Are in Your iPod? One of the most divisive theological issues in the church today is the question about spiritual gifts. In this study, we will search the Scriptures to shed clarifying light on this question that confuses and divides so many believers. First, we’ll identify the main three groups into which churches have divided regarding the gift of miracles, tongues, and prophecy. 1. What do Continuationists believe? They believe that people with miraculous and revelatory gifts still exist in the church today. They believe that the church has recaptured the power of Pentecost, and that the miraculous manifestation of the power of the Spirit is essential for the sanctification of believers. They typically believe that these gifts stopped only because of sin dominated the church during the dark ages. Miracles and prophetic gifts and namely tongues play central roles in these ministries. 2. What do Cautious Continuationists believe? This group is often called Open But Cautious. They believe that the tongues and prophetic gifts are for the church today and yet recognize many abuses of false expressions of these gifts. Also they generally do not play a central role in their ministries. 3. What do Cessationists believe? They believe that the miraculous and revelatory gifts ceased after the Apostolic era. All evangelical, for that matter Anglican and Catholic churches before 1960, believed this. They believe today’s so-called revelation, tongues, and miracle workers in the church are at best illegitimate and at worst demonically inspired. Here's a short list of churches, schools, and prominent leaders from each group? Cautious Continuationists: Calvary Chapels, Sovereign Grace Churches, Biola, John Piper, Wayne Grudem, C.J. Mahaney. Since Heaven and Hell are Real . . . Here's my #WW4C quote for the week. "The death of the Son of God and the damnation of unrepentant human beings are the loudest shouts conceivable that God is infinitely holy, that sin is infinitely offensive, that wrath is infinitely just, and that grace is infinitely precious, and that the brief little life that you and I live and that everybody in our churches lives, will issue very quickly into everlasting joy or everlasting pain,"
Quoted from John Piper's Together for the Gospel sermon in 2006. This is my annual 4th of July post. 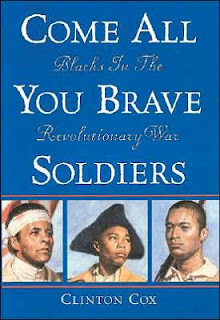 This year my wife read to my children a book titled Come All You Brave Soldiers: Blacks in the Revolutionary War written by Clinton Cox, “author of several highly-acclaimed books for young readers, including three on fascinating yet little-known aspects of African American military history.” In Come All You Brave Soldiers, Cox recounts the untold real stories of the vital role African American soldiers played in our War for Independence. Cox is clear and captivating, but not at the expense of facts. He is very much the scholar when it comes to educating his readers. But writing history the way history happens is a hard assignment. Because as history really happens, our heroes don’t always pose just right for the camera. And we do prefer to romance our history, if only just a little. Cox didn’t and that’s what I found so riveting about his rendition of the war that set us free. 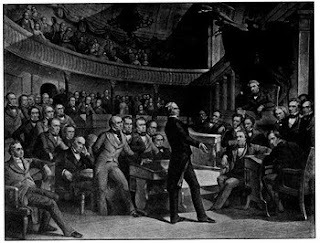 With little dispute, the war for our independence is a bright day in American history. But we all know that we’ve picked up a fairy tale when we read that the sun always shines and never casts a dark shadow. And America, as great as it is, is not Camelot or Atlantis. But I digress. Whose Independence was the War of Independence for? In the real battle for our independence, it became very clear, that even if we won, everyone wasn’t going to be free. Here’s the painful irony of the War for Independence—African Americans were fighting for the land we helped make prosperous. We were fighting for our new home. But so long as we fought on the side of the colonists, we were helping to liberate the very ones who would make sure that we remained captives. So the War for Independence in real history wasn’t a war for independence for everybody. It was just a war for Independence if you weren’t black or brown. So as An African-American Father, What do I Tell my Kids about Independence Day? I will tell them the truth. Shouldn’t I? Isn’t that what we are supposed to tell our kids? I will tell them that the great founders of our nation spoke boldly of freedom, and enlisted African Americans to fight alongside of them to the death for freedom. I will tell them that around 5,000 of African Americans enlisted in and fought bravely in the Continental Army. I will tell them that these brave African American soldiers, their forefathers, did this, despite the fact that their enemy—the British—offered them freedom and their countrymen continued slavery. I will tell them that their forefathers, men like Crispus Attucks, died fighting for America. I will tell them of men like James Robinson who fought gallantly, and men like James Amistead who risked all as spies, survived the war only to be returned to slavery before they gained their freedom. I will tell them others—many others—fought as soldiers for freedom and died as slaves in the very land that they helped to free. I will tell them that their forefathers fought for America even though America wasn’t fighting for them. I will tell my children that there are noble causes that are bigger than them. I will try to inspire them with the legacy of their brave forefathers who fought, died, and were re-enslaved, sacrificing all so that one day in America their children, or grandchildren, or great-great grand children would be free. So in the end, their slogan was “give me slavery and give me death so that my children’s children won’t have to endure this.” I will tell my children that the sacrifice of those brave men turned the tide in an otherwise almost unwinnable war, and as a result of their great sacrifice, America became free and has become the greatest nation on the face of the earth. I will tell my children that a heavy price was paid for their freedom, a cost paid bravely by their forefathers. a place where all who trust Jesus will be free, because He died as a slave in place of sinners on a tree (Phil 2:5-11). So What Will I Tell my Kids about Independence Day? I will tell them to enjoy the fireworks because their forefathers fought in that great war too. I will also tell them a few other truths that most Americans have long since forgotten. I will particularly tell my kids those truths from history because I pray they will never forget the sacrifices that their forefathers made to make America free. I will tell them so that they will, as bravely as their forefathers fought, remind America not to forget on the 4th of July to celebrate their brave forefathers too. To encourage you to join other Christians on "Witness Wednesday for Christ" (#WW4C) and to honor Christ through your social media, I've posted this to help you learn how to share the Gospel. I hope it helps.